Summary : Scriptwriter Kim Eun Hee and Director Kim Hyung Sik who worked together in drama Sign are back and now they produce their next drama piece which is claimed to be the first Korea's first cyber-investigation drama "Ghost". 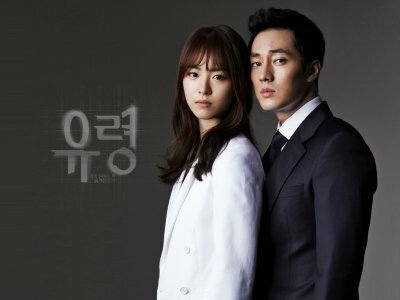 Ghost is a drama about cyber investigators who investigate secrets and solve puzzle pieces in the cyber world. They will expose the dangers behind the internet world and high-tech gadgets as well as solving the crimes which happen behind the scene. Starring solid casts So Ji Sub, Lee Yeon Hee, MBLAQ G.O, Eom Ki Joon and Daniel Choi (cameo); Ghost is a thriller crime drama. The question that is still lingering in my mind, what's the meaning of the title "Ghost"? Does it mean that the crime investigators will be like ghosts? Or the antagonist is the ghost? Or does it refer to Ghost General Hardware-Oriented System Transfer? Can't wait to get the answer to this question!